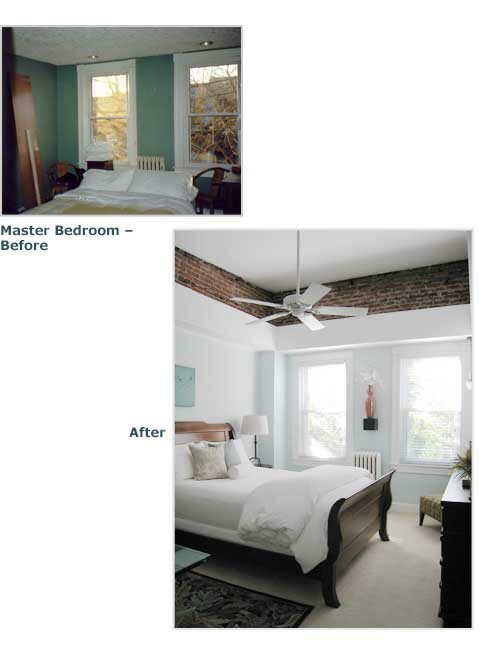 The ceiling in this bedroom was 8' tall and covered with an old patched textured coating. Knowing that the roof line sat about 4-5 feet above the bedroom ceiling at the front of the house, we decided to tear it down and raise it up to the maximum height while allowing space for proper insulation. The A/C ductwork had to be rearranged which turned out to be a blessing in disguise as this caused us to create a bulkhead around three sides of the room. This served as a nice break between the plaster walls and the newly exposed brick. 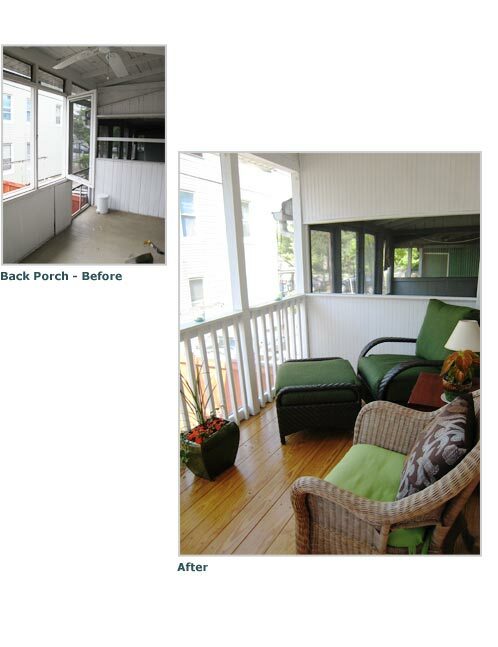 With a new coat of paint, ceiling fan, some new decorations and a petite dazzling crystal chandelier this renovation turned this room from dark and dingy to bright, airy and a beautiful retreat for the owner to enjoy.